On November 25, 2016, the mastermind of Cuba's 1959 revolution, Fidel Castro, died at age 90. Even though Castro was criticized in the West for the authoritarian nature of his rule and egregious human rights abuses, his death prompted an outpouring of grief in the developing world. Sub-Saharan African leaders reacted in an especially strong manner. The leaders of South Africa, Equatorial Guinea and Zimbabwe attended his funeral, and days of mourning were declared across the continent to commemorate Castro's life and revolutionary ideals. A wide range of factors and national experiences explain the extent of admiration for Castro in Africa. For many African leaders, Castro's resistance to United States hegemony and successful overthrow of Fulgencio Batista's US-backed dictatorship were viewed as a successful model for leaders opposed to neocolonialism to follow. The Algerian struggle for independence during the early 1960s was inspired by Castro's takeover of Cuba. Lahkdar Brahimi, a key Algerian nationalist politician, visited Cuba in 1961 to gain inspiration from Castro's revolutionary values. South Africa's first black president Nelson Mandela viewed the Cuban Communist Party's rise to prominence through guerilla warfare and gradual military triumphs as an inspiration for his subsequent struggle against apartheid. Yet admiration for Castro amongst anti-Western African leaders was not universal during the 1960s and 1970s. A faction of the non-aligned movement led by Libyan dictator Muammar al-Gaddafi criticized Castro's alliance with the Soviet Union as a surrender of national sovereignty. Castro responded to these criticisms with a speech at the 1973 non-aligned conference in Algiers that praised the USSR's "extraordinary services" to the Third World and resistance to "Yankee imperialism." The Cuban government's strident pro-Soviet stance caused Gaddafi and Tunisian President Habib Bourguiba to walk out of the summit. This represented a low point for Communist Cuba's relationship with Africa. This hostile reaction convinced Castro to develop a new Cuban foreign policy identity, which was more independent from the USSR and targeted towards the concerns of African leaders. Castro's Africa strategy transitioned from its previous focus on spreading Soviet-style communism, to a soft power offensive emphasizing civil rights and humanitarian assistance to impoverished countries. The most striking manifestation of this new approach was Cuba's resolute criticism of South Africa's apartheid regime and calls for the release of Nelson Mandela from prison. Cuba's willingness to use military force to further its civil rights promotion objectives in Africa increased admiration for Castro on the continent. African leaders increasingly viewed Cuba as an independent pro-Soviet actor, rather than a mere proxy of the USSR. This perception was cemented by Cuba's deployment of 25,000 troops to Angola in 1975. As South Africa had intervened militarily on the behalf of right-wing forces in Angola, Cuba's military intervention weakened the apartheid regime by depriving Pretoria of critical financial and military resources during a period of intense international isolation. Castro's agreement at the 1988 New York Accords to withdraw Cuban troops from Angola in exchange for the liberation of Namibia from apartheid rule further bolstered his stature amongst African nationalists. Cuba's poverty relief efforts also won plaudits in Sub-Saharan Africa, as they provided a more human face to revolutionary communism than the Soviet Union's military-focused approach. During the early 1970s, Cuba provided health care assistance to Somalia's left-wing government and assisted Mogadishu in the establishment of a viable sugarcane industry. While Castro's alliance with Somalia was compromised by Cuba's military support for Ethiopia during the 1977-78 Ogaden War, Havana's role in ameliorating the Angolan health care crisis of the late 1970s was a signature achievement for Cuba's humanitarian campaign. Castro's medical diplomacy strategy continued after the Cold War, as Cuba sent 450 doctors to South Africa from 1996-2002 to ease the apartheid-induced medical personnel shortage in the country. As Cuba struggled with an economic crisis and the aftershock of losing its Soviet patron during the 1990s, the legacy of Castro's African strategy played a key role in ensuring that Cuba's communist regime did not follow North Korea and Laos into international isolation. A group of African countries, spearheaded by South Africa, pressured the United States to end its embargo against Cuba. Gaddafi also set aside his foreign policy disagreements with Castro, and encouraged Cuba to maintain a high-profile diplomatic role in the non-aligned movement. While Cuba's ability to exert economic or military leverage over African affairs diminished in a post-Cold War world, Havana has continued to express solidarity with authoritarian regimes targeted by Western sanctions. Cuban policymakers have condemned international sanctions against Zimbabwe, and praised President Robert Mugabe for his role in ending white-majority role in Zimbabwe. Cuba also strongly supported Gaddafi during the 2011 Libyan civil war. After Gaddafi was killed in October 2011, Fidel Castro accused NATO of genocidal activities in Libya, and scathingly condemned how Gaddafi was murdered as a "trophy of war" in violation of Islamic traditions. Even though Castro was scathingly criticized in the West for his authoritarian policies and brazen defiance of the United States, many Africans viewed him in a much more favorable light and as an anti-Western nationalist hero. The close alliances between Cuba's Communist Party and numerous African countries will ensure that Castro's imprint on African politics will live on for years to come. 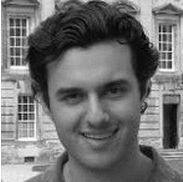 Samuel Ramani is a DPhil candidate at St. Antony's College, University of Oxford. He is also a journalist who writes regularly for the Washington Post, Huffington Post and Diplomat magazine. He can be followed on Twitter at samramani2 and on Facebook at Samuel Ramani.